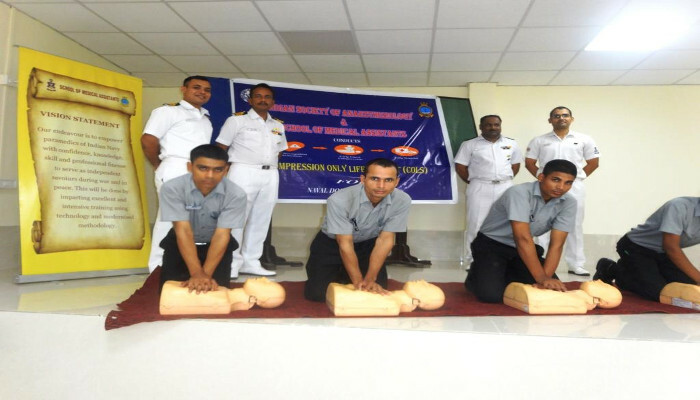 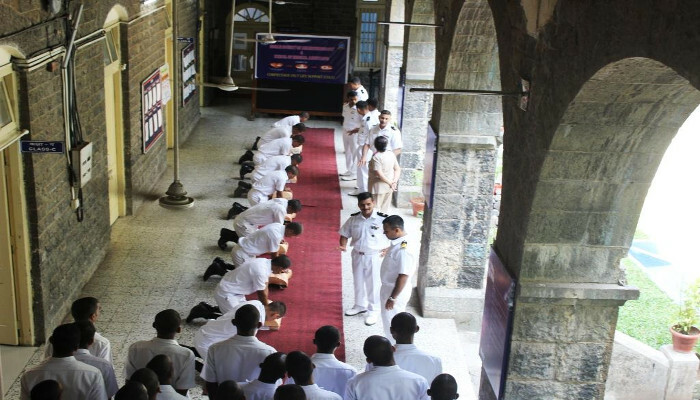 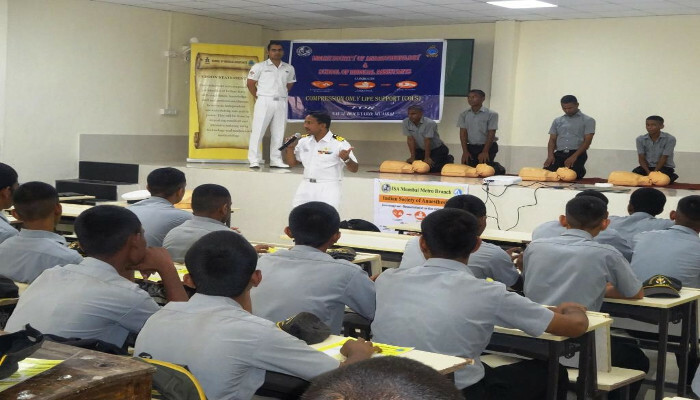 170 civilian workers of Naval Dockyard, Mumbai and 110 trainees and civilian staff of INHS Asvini attended a training workshop based on 'Compression Only Life Support' (COLS) conducted on 23 October 2018 by School of Medical Assistants in association with the Indian Society of Anaesthesiology. 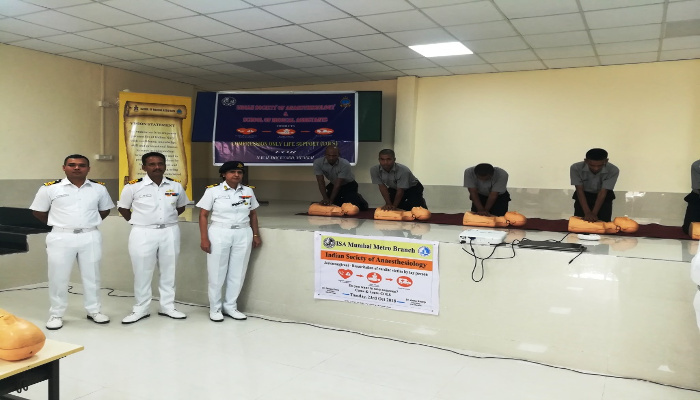 The aim of the training was to promote awareness about cardiac victims and subsequent administration of first aid in the form of COLS to save valuable lives. 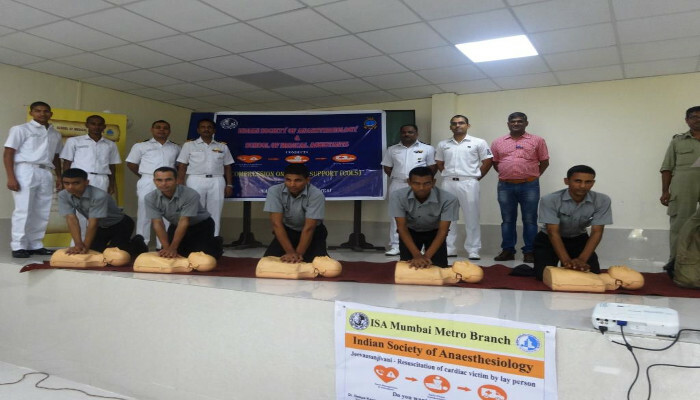 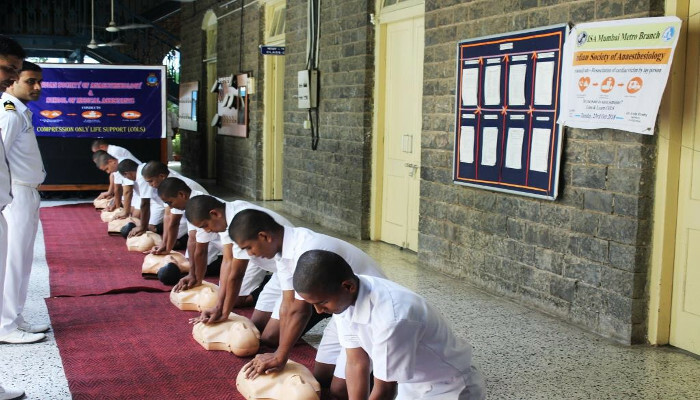 The participants were given hands-on training about Jeevansanjivani - resuscitation of a cardiac victim by lay persons and COLS on mannequins and were also shown demonstration videos.